[:en]The inscription in 2016 of the Marshlands into the UNESCO World Heritage List was an important milestone for Iraq, which would not have been possible without strong efforts of civil society across Iraq, and involvement of communities and local authorities. This is a success story that we believe can be extended across other issues in Iraq, which is why ISF, ICSSI together with partners opened the Mashufna Cultural Center in Nasiriya on 14 October 2017. The center will be an important resource for civil society groups and the social forums from across Iraq operating in the EU-funded project “Mesopotamian Youth”; a place where divisions in Iraqi society can be bridged and national identity can be rebuilt. Civil society working groups on various thematic issues led by local partners will use the Mashufna Center as a base for activities focusing on the promotion of human and environmental rights, including the protection of the cultural and natural heritage – in particular the Iraqi Marshlands. Each year a youth camp on the value of the Marshlands and the rivers of Mesopotamia will be organized, as well as a festival on the cultures of Iraqi minorities with artists from all over the country. The opening of the center on 14 October in Nasiriya was attended by some important figures of local (civil) society, including representatives of Nasiriya Municipality and the Ministry of Water Resources. A handicraft bazar and a photo exhibition took place in the center, reflecting the rich cultural heritage of the area and past activities of Mashufna group. Following speeches by Ali Saheb (ISF), Zainab Shubar (Information Center) and Ali Alkarkhi (ICSSI), Naseer Baqer of Mashufna group conducted a play on overfishing, which is a big issue in the Marshlands today. “Mashufna” is the Arabic word for the traditional boat used by the Marsh Arabs, the indigenous inhabitants of the Marshlands. 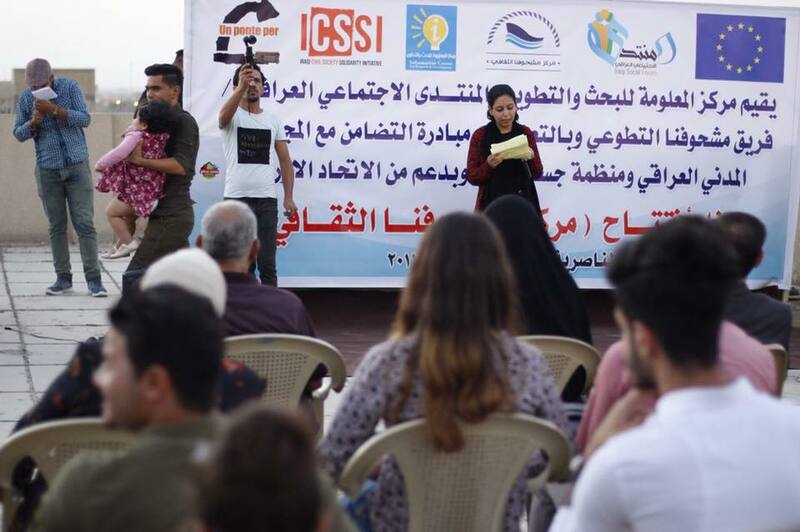 The center will be managed by a wide group of local activists of the same name, under the coordination of Information Center, the Iraqi Social Forum, UPP and ICSSI. 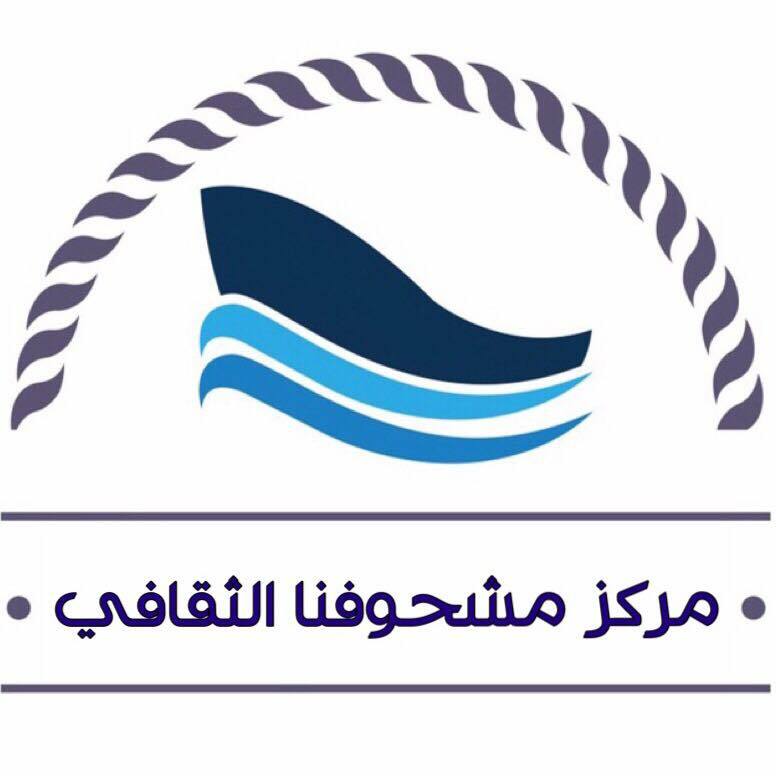 The Mashufna group, consisting of young volunteers from Nasiriya, was founded in 2016 with cooperation of Save the Tigris Campaign and Humat Dijla, two partners working on the protection of water resources in the region. Last year they organized a youth camp in the Marshlands which will continue as an annual event as part of the “Mesopotamian Youth” project. Save the Tigris Campaign has been working since 2012 to protect the Iraqi Marshlands and foster a common identity of a shared Mesopotamian heritage, and the Mashufna Center will continue to build on this work.